It’s already on… and the show just started filming! 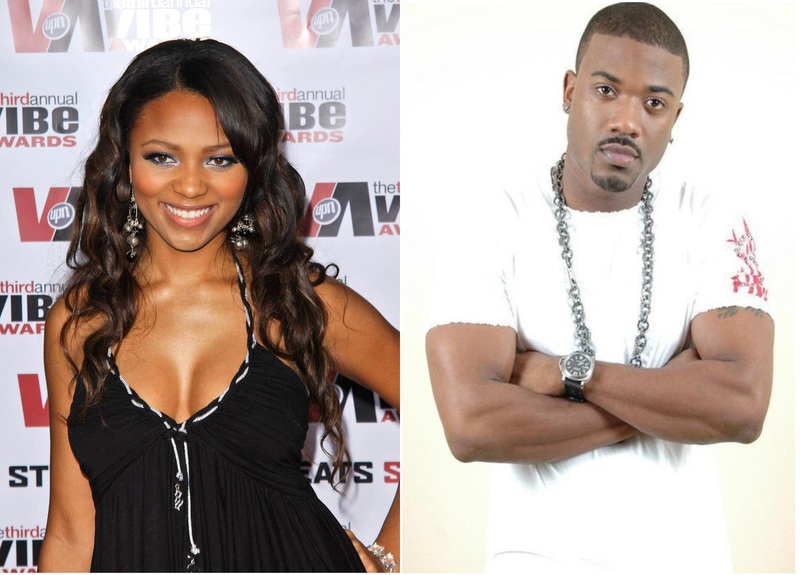 Ray J got caught in the middle of a scrapping between singer Teairra Mari and his current girl, Princess Love. I don’t have any idea who this Princess chick is, but she apparently approached Teairra Mari demanding to know why she was near/with/breathing the same air as her man.The scuffle broke out when Tierra simply brushed Princess off, causing Love to throw the first punch. It’s just a classic case of don’t let your (ratchet) next meet your (ratchet) ex. I’m just saying. Mona Scott Young know she knows how to pick them. Earlier this year, a list of cast members started circulating, with Ray J missing because he was supposed to be doing something with Oxygen’s Bad Girls Club. Guess he realized where the money really was. Other rumored members are Brooke Valentine, radio DJ Yesi Ortiz, rapper Hazel-E and video vixen Bria Myles. I’m guessing Tierra Mari took someone’s place. Oh well, I’ll have my popcorn ready when VH1 gets it together. See the catfight video here. Previous Post Did Kenya Moore Fake Her Dog’s Death?